I am still in a state of shock from yesterdays final day of the Open Championship. 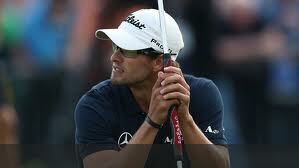 I am shocked that Ernie won, I am shocked that Adam Scott let the Claret Jug slip through his fingers. I am shocked that Tiger Woods made a triple bogey 7 on the 6th. I am shocked that Graeme McDowell top hooked his second on the par 5 11th. I am shocked that Brandt Snedeker was able to compose himself after a double bogey on the 7th, and 8th finishing him in a T3. It was a wild Sunday in England and as major’s go this one had plenty of drama. I would have never guessed that the winning score would be -7 after watching the course get dominated by players the first three days. However, the weather hadn’t shown up in England until Sunday for this years Open Championship. 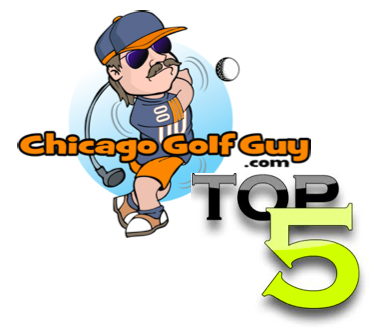 Calm weather, and wet fairways and greens, means the pros can score much lower. There was a 36 hole record set at this years Open for the lowest first two days in relation to par. Adam Scott had a chance to birdie the 18th for a 54 hole lowest record (he was one shot short of that record). After three pretty much perfect days, the old golf gods decided to show up, and the scores went up. Only nine players on Sunday were able to best par, and most of those players went out considerably earlier than our leaders. The leaders however, played some pretty awful opening golf on the outward nine. Everyone except for Adam Scott. Adam did three putt the first hole to drop a shot, but then birdies the second to get it right back. Only to bogey the third to drop another shot. But then he got his game together, while the rest of the field went bananas. While Tiger Woods and Brandt Snedecker were hacking up the end of the front nine, Adam played very solid. Only a bogey on the 6th (which is one of the toughest holes for the entire tournament) left him with a cushy lead, and everyone falling farther and farther behind him. Adam made 7 pars in a row, and really had plenty of birdie putts that he left short dead center in the hole. But he was making pars, while everyone else just fell around him. Then a birdie on the 14th meant that Adam had a four shot lead with four holes to go. A four shot lead that quickly went to three when Ernie made a 15-20 footer on the 72nd to get to -7 under in the clubhouse. That is when the proverbial sh!t hit the fan. After driving the ball so well on the first three days, and for most of the second day, Adam found himself in the bunkers coming down the stretch. Either off the tee, or in a greenside bunker Adam couldn’t stay out of the sand. Bogey on 15 brought the field within 2. A three putt on 16 left him with a one shot lead with two to go. Bogey on 17 meant that he needed to make a par on the 18th hole to get into a playoff with the big easy. Adam might have shown some nerves on 18 when his drive found the bunker on the left side of the fairway. He is forced to chip out, and then hits a brilliant shot into the green about 8 feet short of the flag. Now its do or die, make the putt force the playoff, or miss and go down as the man who gave away the Claret Jug. 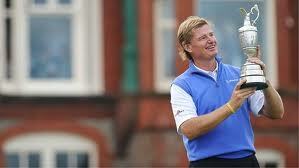 I will not go on record saying that Ernie Els fell backwards into this Open Championship. Ernie was one of those 9 players to be under par on Sunday. Ernie made clutch putts coming down the stretch, and a great birdie on 18 to get him to -7. We all thought it would have been a great second place for Ernie, but it turned out that putt was the deciding factor of this years Open Championship. I would imagine that the roar on 18 (which was Ernie’s clutch birdie putt) put pressure on Adam. His four shot lead went to two, Ernies birdie brought him to -7 under and Adam’s bogey takes him to -9 under. That putt on 18 takes Scott’s feeling of coast in for the Claret Jug to uh oh I have to play well to get in and get the job done. If that putt slides past the hole for Ernie, we have a different winner at the Open Championship. A bit of history: Ernie Els becomes one of very few golfers to win Major Championships in three decades, one of only 27 players to win 4 majors or more, and he is a two time Open Championship winner 10 years after his first Open Championship victory. Ernie is a great player, a hall of famer, will be the true defending champion next year at Murfield. 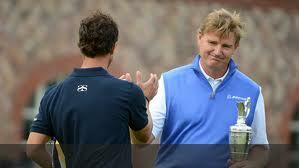 He is the reigning Open Champion, and he won his first Open Championship at Murfield when it was last played in 2002. Well played Ernie, you are truly a great champion.